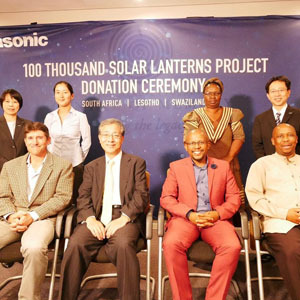 Johannesburg – Since 2012, Panasonic Corporation has been working on the 100 Thousand Solar Lanterns Project, a project that aims to donate a total of 100 thousand solar lanterns to the world’s non-electrified areas by 2018, which is the centennial of Panasonic’s foundation. 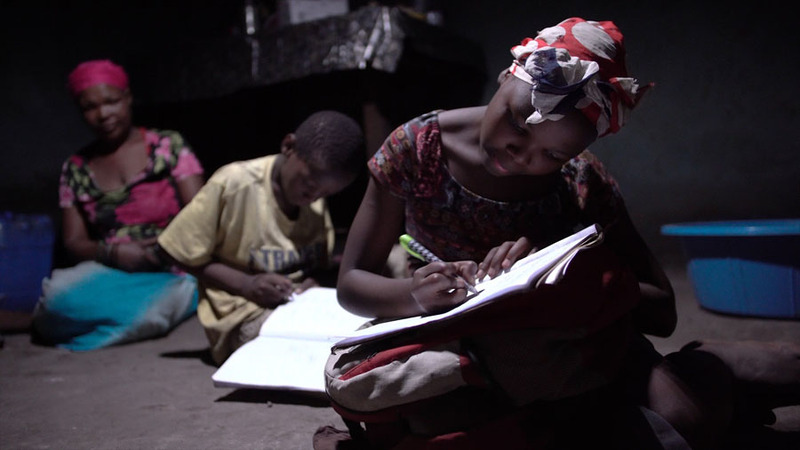 As part of the effort, the company donated a total of 1,584 solar lanterns for the first time to three nonprofit organizations (NGOs) working in the three countries of the Republic of South Africa, Kingdom of Swaziland, and Kingdom of Lesotho. On the 27th March 2017, a donation ceremony was held at the Nelson Mandela Foundation in South Africa. 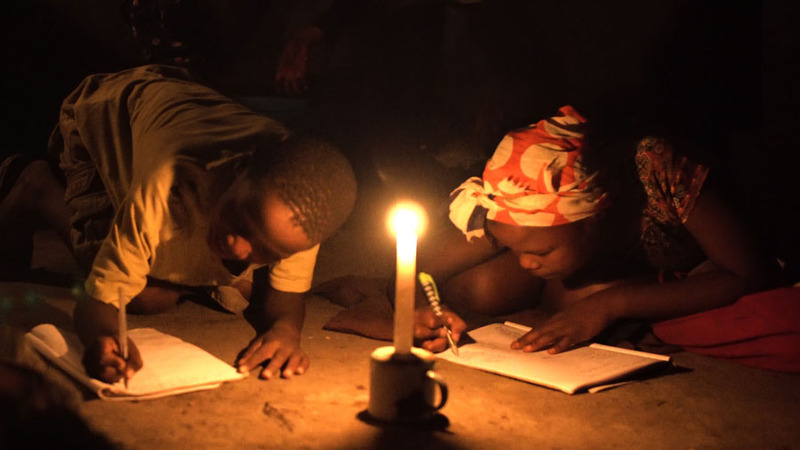 At present, approximately 1.2 billion people are living in areas without electricity, which accounts for about 16% of the world population, of which approximately 600 million people are in African countries. Although many households in these areas without electricity use kerosene lamps for lighting, its smoke poses a health hazard and exposes people to the risk of fire. By utilizing solar lanterns, children will be able to learn safely and women’s groups can engage in activities that create income at night in the community, which will help them. 100 Thousand Solar Lanterns Project has achieved over 80,000 donations in total to improve their lives and help a sustainable society. Moreover, this reduces the economic burden of fuel purchase costs. In order to contribute to resolving these social issues, Panasonic has been promoting corporate social responsibility (corporate citizenship activities) by proactively using the company’s core technologies and products, and as part of this, has been implementing the 100 Thousand Solar Lanterns Project. This donation activity is an initiative to contribute to the global goals of Poverty, Health Care and Welfare, Education, Energy, etc. that constitute the Sustainable Development Goals (SDGs) put into effect by the United Nations in 2016. Through this project, the company has donated a total of approximately 81,000 units to 19 countries so far. In Africa, about 15,000 units have been donated already to 10 countries through international organizations and NGOs. This donation to three African countries now makes the total of donated lanterns approximately 83,000 units to 22 countries, and among them, about 16,000 units have been delivered to 13 African countries. In addition, at the Sasol Solar Challenge, a solar car race held in South Africa last year, a solar car team from Tokai University equipped with Panasonic’s solar cell module HIT(R) and a high-capacity lithium-ion battery finished second after completing 4,544.2 km. Panasonic will accelerate this activity until 2018, in order to deliver a better life to the people living in the regions without electricity through the 100 Thousand Solar Lantern Project utilizing the company’s core products and technologies. Starting with the donation in Myanmar in 2011, Panasonic has donated more than 80,000 solar lanterns to 19 countries, mainly emerging and developing countries in Asia and Africa. It has been reported that the bright light of solar lanterns facilitates medical, educational and economic activities at night and it eliminates a health hazard as well as reducing the burden of households by reducing fuel costs.